George Lucas has stepped back from one of the world’s most popular franchises, but that hasn’t stopped him from jumping on another. 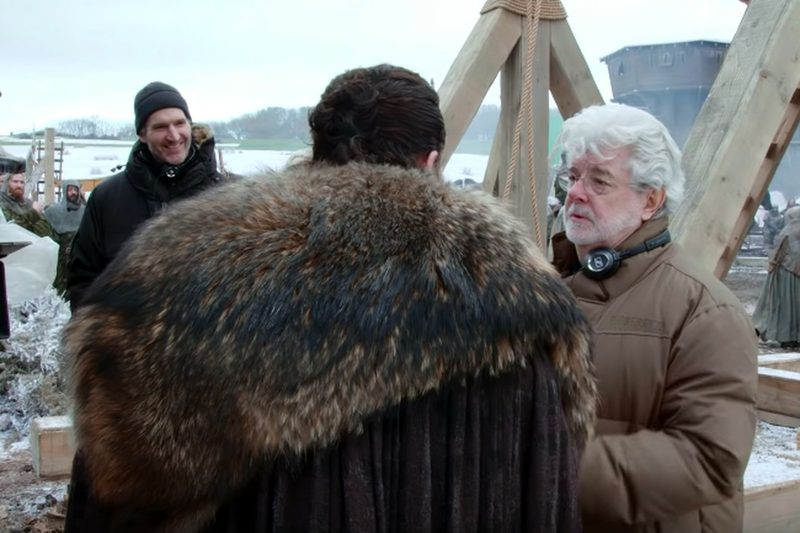 According to a 17-minute behind-the-scenes video that HBO released on YouTube, Lucas was hanging out on the Game of Thrones set while director David Nutter was directing the season 8 premiere. The former Star Wars director was sitting by Nutter’s side while they were filming a scene with Jon Snow (Kit Harington) and Daenerys Targaryen (Emilia Clarke). Nutter asked Lucas to speak to Harington and Clarke about their performances.